The time taken to recover from this condition depends upon the total time zones you have crossed during your travel. Generally, your body adjusts to new time zones at a rate of 1 or 2 time zones in a day. For instance, in case you crossed 6 time zones during your travel, your body may take 3-5 days to adjust to the change in time. Jet lag is a temporary condition; hence, its prognosis is very good and majority of the individuals recover within few days. Jet lag rarely causes any complications. If an individual suffers from a preexisting cardiovascular disease, the additional stress of disruption of the internal body clock in combination with stress due to travelling, immobility during travel and high altitude may lead to a heart attack. Similarly, chronic deprivation of sleep due to jet lag may result in a stroke in a predisposed individual. After discussing "How long does jet lag last?" let’s discuss how to deal with jet lag. Maintain good physical stamina: It is recommended to remain in shape before you travel. Eat right, exercise and get enough rest to maintain good physical conditioning and stamina as it will help you cope better once you land. In case you eat a poor diet or are not keeping fit, begin to eat right and an exercise regimen a few weeks before you travel. Take medical advice: In case you suffer from a medical illness such as heart disease or diabetes, visit your doctor in advance before your travel. That way you can plan your medicines and any doctor’s appointments, if required, at your destination. Begin changing your schedule: If you are going to stay in the new time zone for more days start by adjusting your body to destination time zone well in advance. For instance, if you are going to the east, try sleeping earlier in the night and then getting up earlier and moving out in the morning sun. Avoid consuming alcohol: Avoid drinking alcoholic beverages one day before you fly, during flight and the day after the flight. Alcohol is dehydrating, can disturb sleeping schedules and cause general discomfort and nausea. Avoid caffeine: Similarly avoid drinking caffeinated beverages during, before and after your flight. Caffeine is also dehydrating and can disturb sleeping schedules. Moreover, caffeine may intensify your already present travel anxiety. Drink water: Drink large quantities of water, particularly during your flight as it counteracts the dryness present inside the airplane. Move around in the plane: When seated in the airplane, move your legs in between. Move them back, forth, up and down. Bend the knees. Stand up on your legs and then sit down. Get up from your seat every hour and walk in the plane. Avoid taking sleeping tablets. Also avoid napping for greater than one hour at one time. Moving around in the plane reduces the risk of formation of blood clot in your legs. A clot may form in the leg due to inactivity, which may break loose and travel to lungs and cause pulmonary embolism. Moving around also refreshes and revitalizes your body, reduces stiffness and increases mental alertness; thereby easing jet lag. Schedule a stopover in between your trip: When travelling across multiple time zones, if possible, break your trip and schedule a stay or stopover in a city, which is around midway to your destination. Wear comfortable clothes and shoes: During a long trip, wear comfortable clothes and shoes. Avoid items which restrict, pinch or chafe. Select the outfit for your trip according to the climate of your destination. Dress according to your destination. Check the accommodation: Once you have arrived at the destination, in case you have booked a hotel to stay in, check whether the bathroom facilities and beds are satisfactory or not and whether heating or cooling systems are in working order or not. If the current room is not satisfactory, ask the management for another one. Try to adapt to local schedule: The earlier you will adapt to local schedule, the lesser you will feel symptoms of jet lag. Hence, if you reach your destination at noon (however, 6 am your time), don’t eat breakfast, instead eat lunch. Take walks or sit in outdoor cafes so that your body can be exposed to sunlight, which will signal the hypothalamus to decrease production of melatonin (that induces sleep); hence, initiating resetting of your internal clock. Minimize distractions during sleep: Earplugs or an eye mask can help you sleep while on the flight and also at your hotel room. Try and eliminate distractions at bedtime in the room such as sunlight coming in through a large window. Eat sensibly: How long does jet lag last? You already know the answer. To your flight easier, follow this tip. 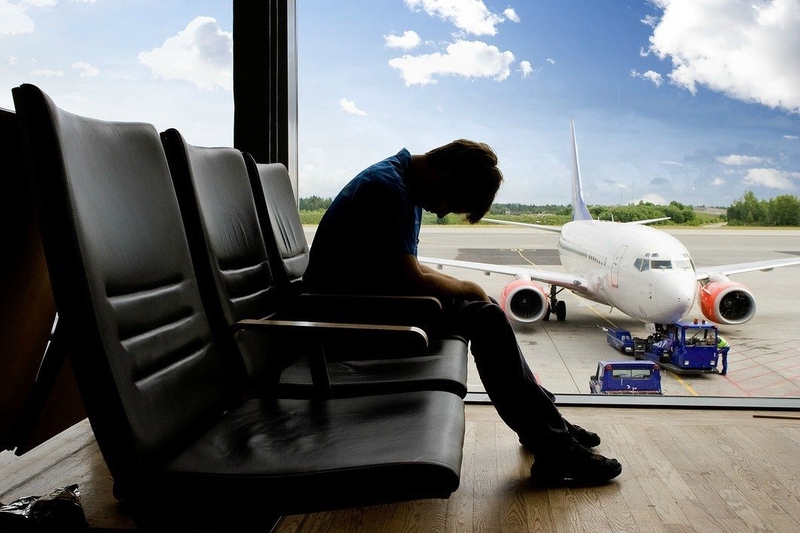 Certain people who fly frequently swear by special diets for jet lag, for instance, a heavy diet on days before flight and fasting on the day of flight. However, no diets have proved to be effective to prevent jet lag. It is recommended to not eat a high fat or high carb diet before bedtime as it can disrupt sleep. Avoid night time arrival: If possible, travel in a flight that arrives at your destination during the day. This makes staying awake easier and you are more tempted to go out and explore the city and expose yourself to the shining sun. Moreover, you have a full day ahead to spend. Use sleeping pills wisely or avoid them completely: Try and establish patterns of sleep without taking sleeping pills. However, in case you experience difficulty in sleeping during the initial 2 or 3 nights, you can take a mild sleeping pill that is prescribed by your physician. But you should stop the drug as early as possible or you will develop a habit for it. Valerian root is an herbal remedy that may be used to treat insomnia. It should not be taken with alcohol. You should consult your doctor before using valerian root or any other herb for insomnia.